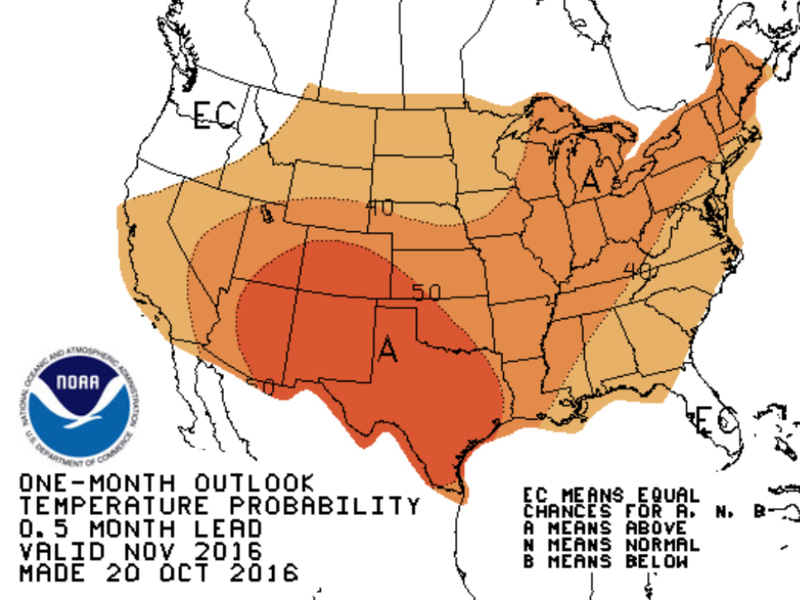 Warm temperatures are sticking around for November, according to the latest long-term forecast models. Nearly the entire country is expected to be overall warmer than usual. Last year's November was the warmest November on record around the planet. In fact, November 2015 was near the middle of a record streak of 16 consecutive record-breaking months, which just ended in September . Since 2016 has seen record-breaking warmth for most of the year, it's nearly inevitable this will be the hottest year on record around the globe. That's likely to occur even if October, November and December don't break any records.